This is it. Those final weeks that make or break your A-Levels. Some people have been preparing for months; some weeks; others days. But how should you be feeling? Everyone is taking exam stress in different ways. I have seen so many breakdowns in lessons juxtaposed with people who appear to not even care. I am lucky. I have an unconditional offer to study next year but that doesn’t mean I am not feeling the pressure just like everyone else. Despite reading almost every article going on unconditional offers, I still worry that if I crack under the pressure and get 3 Us that I will not be able to study Music next year. All my life all I have wanted to do is study Music and the thought of not doing that makes me want to cry inside so I cannot imagine what those who have conditional offers are feeling right now. One of my major concerns about going to uni was about whether I’d find friends and people on my wavelength. Happy to say, there are so many people in a university that you’re more than likely to find people like yourself. Don’t worry if it takes a bit of time, or if your friends change over the first year – you’re still getting to know these people and finding your feet! Colette Simpson was working in the hospitality industry as an assistant manager before she decided to take the leap and return to studying for a change in career. Colette had never been to university before, and had worked in hospitality since leaving sixth form. While on a gap year teaching in India and Nepal, Colette felt she wanted to do something more meaningful with her career, and, coupled with personal experiences, decided her preferred route would be counselling. 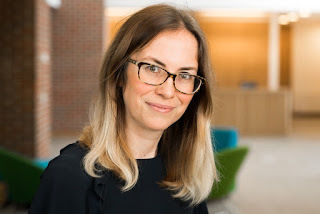 Collette joined Newman University as a mature student, and studied a counselling foundation degree, which enabled her to continue working, and support her studies. a summer escape with your mates, agree how much you can spend on flights and accommodation before you decide on where to go. If you’re travelling for a long time don’t forget to budget for three meals a day, transportation to and from the airport, visas, keepsakes, entry fees to attractions and a new passport if it’s about to expire. The best way to help make sure your food shopping doesn’t leave you skint is to create a monthly budget of your outgoings and incomings. Factor in how much you spend on food and stick to your budget when you shop. It’s easy to go over by a few pounds each week but over a year this really adds up. Subtract money from your budget every time you pick up anything to eat while you’re out and about to get a handle on how much you’re actually spending on food - you might be surprised by how much you’re actually spending on takeaway food. 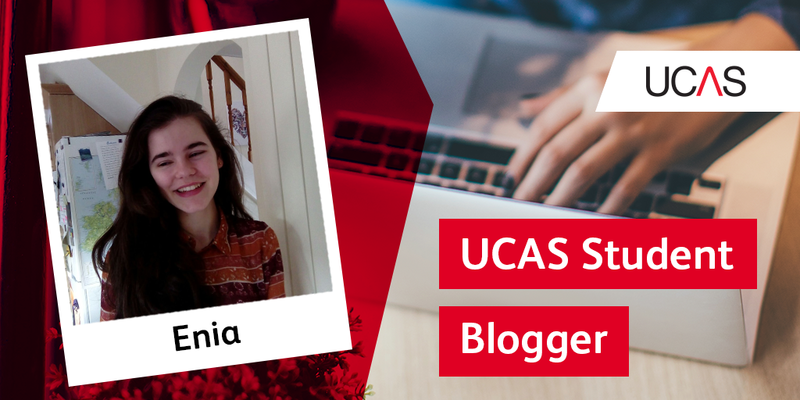 Thinking of starting uni this year? Thinking about starting university this year? You can still apply for courses until 18:00 (UK time) on 30 June. You can find all course vacancies in our search tool. Once you’ve found some you’re interested in, it’s still worth giving the uni a quick call to make sure they have vacancies and will consider your application. So you’ve found some courses you want to apply to and you’ve made sure they’ve got vacancies – the next step is completing your application! There’s lots of advice to get you started on our website. You may need a little extra help with some parts of the application, such as the education section and your personal statement. If so, check out these great videos for lots of great advice. Have you used all five choices but not holding any offers? You may be able to apply for more using Extra! If you’re not sure how to use it then we’ve got it covered in this short blog post. When can I use Extra? 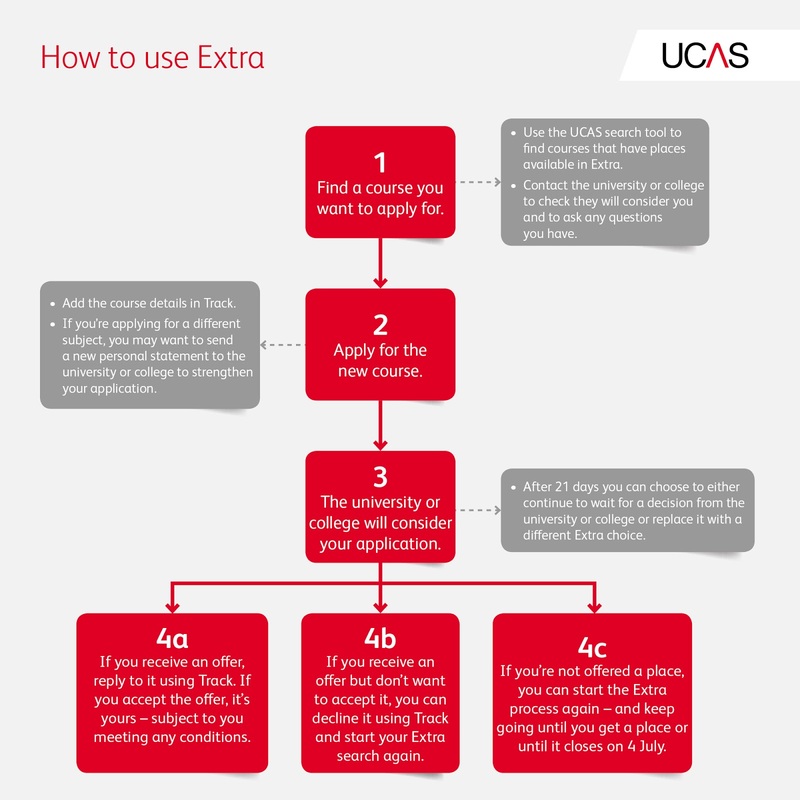 If you’ve used all five choices and don’t hold any offers, you can use Extra up until 4 July. If you’re not sure whether you’re eligible or not, sign in to Track to check your status. If you have an option to Add Extra Choice then you’re in Extra. 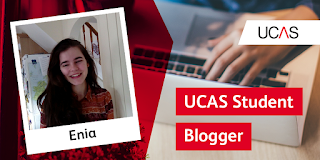 UCAS Undergraduate Apply 2019 is now up and running – so you can start filling in your application, ready to send it on its way to the universities in September. Even though your application deadline may seem ages away, it’s worth registering as early as possible to save any last minute dramas. If you’re unsure where you want to go or what you want to study, you don’t need to select your universities or courses just yet. However, you can start by filling in the other sections so you’re ahead of the game. So, where do you begin? Teaching is not something to go into light heartily, despite the fact I sort of fell into it. I found myself completely mesmerisedby the way primary education works today; being only 22 years old I assumed things wouldn't be that different from when I was at school. However, the passion and excitement that is weaved into the curriculum is a wonderful thing to witness but also to be a part of. For me, each class I've worked with (for a considerable amount of time that is) I have loved each and every child because there has been a moment or a spark that has showed me how I've made a difference to that child's life.